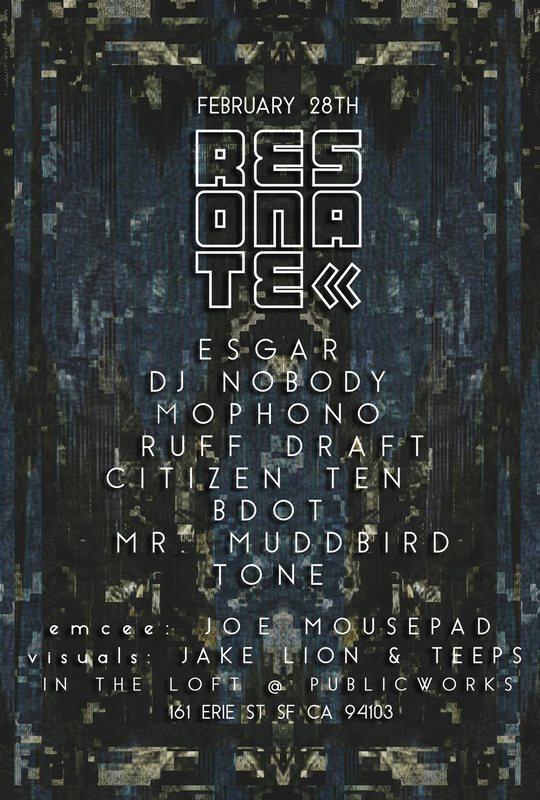 It's the February edition of RESONATE! 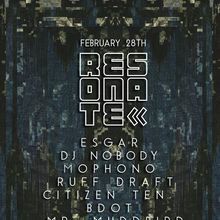 This month we've got DJ Nobody of the Low End Theory crew and ESGAR of IZWID Records coming to wreck shop with residents Mophono, Ruff Draft, Citizen Ten, Bdot, Mr. MuddBird, & Tone. We are also celebrating the releases of Joe Mousepad's EP "Knee Deep" & Ruff Draft's EP "Lost Languages". Visuals provided by jakelion & Teeps. Definitely one not to miss! Mz. Liz & Co. Catering AKA "The Taco Lady"